[S1] Registry of Births Deaths and Marriages Pioneer Index Victoria 1836-1888 "#M249." [S35] Probate Records, PROV (Public Records Office Victoria), VPRS 28/P4, unit 1104; VPRS 7591/P3, unit 115. [S1] Registry of Births Deaths and Marriages Pioneer Index Victoria 1836-1888 "#B24687." [S2] Registry of Births Deaths and Marriages Federation Index Victoria 1889-1901 "Reg Caulfield." 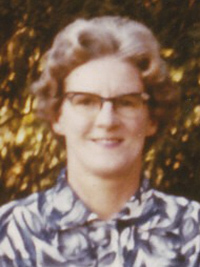 [S187] Familysearch ""Australia, Births and Baptisms, 1792-1981," index, FamilySearch (https://familysearch.org/pal:/MM9.1.1/XTZL-LP1 : accessed 14 Oct 2014), Leslie William George Knapton, 12 Jan 1890; citing ; FHL microfilm 1238887." [S11] Newspaper - Argus 19 Nov 1889, p1. [S14] Newspaper - Table Talk, 19 Mar 1914, p7. [S11] Newspaper - Argus 18 April 1914 p13. [S185] Property Titles. ; PROV (Public Records Office Victoria), C/T 1480-942 + C/T 2089-707 - Eliza Knapton to Leslie William George Knapton of Upper beaconsfield Orchardist - C/T 4424-726. [S185] Property Titles. ; PROV (Public Records Office Victoria), C/T 4424-726 - Leslie William George Knapton took out a mortgage from James Harvey-Metcalfe and John Hamilton Williamson - discharged 6 Dec 1923. [S185] Property Titles. ; PROV (Public Records Office Victoria), C/T 4424-726. [S35] Probate Records, PROV (Public Records Office Victoria), Leslie William George Knapton stated in the probate of Gustaf Berger (Nov 1932) that he ownes 40 acres of land valued at £2000 and that there was a mortgage of £600 thereon. [S185] Property Titles. ; PROV (Public Records Office Victoria), C/T 4424-726 - Knapton to Shire of Berwick - C/T 6247-328. [S185] Property Titles. ; PROV (Public Records Office Victoria), C/T 4424-726 - Leslie William Knapton to William Leslie Knapton Orchardist and Joan Crofton Knapton Married Woman both of Upper Beaconsfield - joint proprietors - C/T 7734-180. [S35] Probate Records, PROV (Public Records Office Victoria), VPRS 28/P4, unit 3252; VPRS 7591/P3, unit 550. [S185] Property Titles. ; PROV (Public Records Office Victoria), C/T 4424-726 - Leslie William George Knapton died on 11 May 1964 - probate granted to Erin Sigrid Augustus Knapton of Upper Beaconsfield Widow. [S185] Property Titles. ; PROV (Public Records Office Victoria), C/T 4424-726 - transfer of balance to Erin Sigrid Augustus Knapton of Upper Beaconsfield Widow - C/T 8589-448. [S18] Newspaper - Pakenham Gazette "28 Jun 1946, p1." [S11] Newspaper - Argus 22 Jan 1949, p17. 6 Oct 1910, UPPER BEACONSFIELD TENNIS DANCE. The members of the Upper Beaconsfield Tennis Club gave their annual dance on Saturday evening, 17th September. The Assembly Hall was beautifully and artistically decorated by Mrs. Harvey Smith, assisted by the lady members of the club, with garlands of shaded yellow poppies, interspersed with ivy and ferns. The supper tables were done in masses of peach blossom and maidenhair fern, with festoons of pink ribbons. The excellent supper provided by the lady members was partaken of after the company had unmasked with great merriment at 10 o'clock. The dance, which took the form of a Masque and Fancy Dress Ball, proved the most enjoyable and successful the club has yet given. The president (Mr. W. Harvey Smith) gave two handsome prizes for the best sustained characters. These were won by Miss D. Thomson (Folly) and Mr. Roy Tyler (Simplicitas). Those present were—Mrs. Harvey Smith, who looked well as a Sportswoman. Mrs. Kirkwood—handsomely gowned as a Watteau Lady. Miss Campbell—a charming Lady Teazle. Miss M'Lean—a Nurse (Ambulance Corps). Miss Nessie M'Lean—Queen of Hearts, with a beautiful jewelled crown, red velvet train bordered with ermine. Miss a'Beckett—a dainty Miss Hook of Holland. 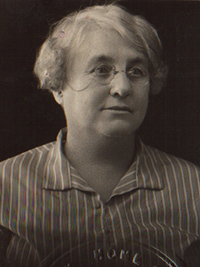 Miss Marjorie a'Beckett represented Bensdorp's Cocoa. Miss Ivy Campbell—a charming Kate Hardcastle. Miss Iris Tyler—an Irish Colleen, in emerald green. Miss Vera Knapton looked beautiful as a Greek Maiden. Miss Viola Halinbourg and Miss Berger were two picturesque Swedish Peasant Girls. Miss Stenhouse—a splendid representation of a Pack of Cards. Mrs. a'Beckett (Narre Warren)—a dainty Pierrette. Miss Dorothy Towl—Mistress Dorothy Marvyn. Miss Du Moulin— Australian Bush Girl. Mr. Harvey Smith (president)—John Bull. Mr. Ulick a'Beckett—Rouge et Noir. 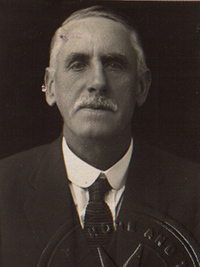 Mr. W. G. a'Beckett (Narre Warren)—a Barrister. Mr. David Bevan—Jack Johnson, senior. Mr. W. Knapton—Knight of the Bath. Mr. Monty Bruce (Melbourne)—a Cricketer. Mr. Gilbert a'Beckett—Plenipotentiary to Charles V.
Mr. Frank a'Beckett —Mr. Hook of Holland. Mr. Sam M'Gregor (Melbourne)—a Dutchman. Mr. Percy Anderson—Black and White. Mr. George Anderson—Our English Visitor. Mr. Arthur Anderson—a Tennis Player. [S1] Registry of Births Deaths and Marriages Pioneer Index Victoria 1836-1888 "indexed as Erica Sigrid Aug BERGER." [S343] Erin Sigrid Augusta BERGER, Birth Certificate, birth registered 11 Feb 1885 by her father at St Kilda (4 Nov 1884). [S185] Property Titles. ; PROV (Public Records Office Victoria), C/T 8628-337 - Erin Sigrid Augustus Knapton of Stoney Creek Road Beaconsfield Upper Widow - land being part of a former government road. [S5] Registry of Births Deaths and Marriages Death Index Victoria 1921-1985 "[par Gustaf BERGER & Sigrid GREVELLI]." [S14] Newspaper - Punch (Melbourne, Vic. : 1900 - 1918; 1925), Thu 6 Oct 1910, p35. Marriage* 27 Nov 1943 Spouse: Arthur John Gilligan. St James' Church, Gardenvale, VIC, Australia. [S35] Probate Records, PROV (Public Records Office Victoria), VPRS 28/P5, unit 1109; VPRS 7591/P4, unit 192. [S4] Registry of Births Deaths and Marriages Great War Index Victoria 1914-1920 "#B5330." [S11] Newspaper - Argus 30 Jan 1915, p13. [S11] Newspaper - Argus 29 Nov 1943, p6. [S11] Newspaper - Argus 9 Jun 1943 p6. 27 Apr 1938, FIRE SEQUEL. YOUNG MAN FINED £10. Frank Leslie Knapton, a young horticulturist, of Upper Beaconsfield, appeared before Mr. Addison, P.M., and honorary justices, at the Berwick Court, on Friday, to answer a charge of aiding and abetting another person to ignite inflamable material. He pleaded guilty. John Richardson, dairy farmer, of Upper Beaconsfield, said he was a lieutenant, of the local Bush Fire Brigade, and on the afternoon of February 3, while at work, he saw a cloud of smoke. Upon investigation he found a scrub fire, and found it necessary to burn a break and then call volunteer firemen, who made an effort to prevent the flames from crossing the main Emerald road. [S4] Registry of Births Deaths and Marriages Great War Index Victoria 1914-1920 "#B8030." [S30] Nominal Roll, Australian War Memorial - WWII, http://www.ww2roll.gov.au/, Date of Birth 21 May 1918 Place of Birth BEACONSFIELD UPPER, VIC. [S11] Newspaper - Argus 17 Aug 1946, p12. [S185] Property Titles. ; PROV (Public Records Office Victoria), C/T 5101-041 - William Gustaf Knapton and Frank Leslie Knapton both of Upper Beaconsfield Horticulturists - tenants in common in equal shares - C/T 6935-904. [S185] Property Titles. ; PROV (Public Records Office Victoria), C/T 6501-180 - Albert Barton Bennett to Frank Leslie Knapton of St Georges Road Upper Beaconsfield Horticulturist. [S185] Property Titles. ; PROV (Public Records Office Victoria), C/T 3246-099 - David John Davies Bevan to William Gustav Knapton and Frank Leslie Knapton both of Upper Beaconsfield Orchardists as tenants in common - C/T 7401-097. [S185] Property Titles. ; PROV (Public Records Office Victoria), C/T 6501-180 - Frank Leslie Knapton to Price Stewart Whitelaw of 41 Cooloongatta Road East Camberwell Sales Manager. [S185] Property Titles. ; PROV (Public Records Office Victoria), C/T 6935-904 - Ronald James Emerson of 22 Trafalgar Street Mont Albert Accountant - C/T 7591-193. [S185] Property Titles. ; PROV (Public Records Office Victoria), C/T 7401-097 - Alexander John Wood and Leslie Desmond Jackson both of Sugarloaf Road Upper Beaconsfield, Market Gardeners - joint proprietors - C/T 7690-004. [S185] Property Titles. ; PROV (Public Records Office Victoria), C/T 7401-097 - Peter Maurice Salles of 613 Canterbury Road Surrey Hills Aeronautical Engineer - C/T 8045-447. [S185] Property Titles. ; PROV (Public Records Office Victoria), C/T 6587-347 - William Gustav Leslie Knapton of Upper Beaconsfield Orchardist - C/T 8037-754. [S185] Property Titles. ; PROV (Public Records Office Victoria), C/T 7401-097 - Augusta Margaret Shaw of 15 Coates Street Moorabbin Married Woman - C/T 8045-448. [S185] Property Titles. ; PROV (Public Records Office Victoria), C/T 7401-097 - Frank Leslie Knapton of Upper Beaconsfield Orchardist - C/T 8045-450 includes GEM-D-56. [S185] Property Titles. ; PROV (Public Records Office Victoria), C/T 6935-904 - William Gustav Knapton - C/T 8045-449 and Frank Leslie Knapton - C/T 8045-450. [S185] Property Titles. ; PROV (Public Records Office Victoria), C/T 7401-097 - William Gustav Knapton of Upper Beaconsfield Orchardist - C/T 8045-449 - on same title as part of GEM-D-57. [S185] Property Titles. ; PROV (Public Records Office Victoria), C/T 7401-097 - Clifford Ernest Harber of Doveton Avenue Grassmere Labourer - C/T 8058-487. [S185] Property Titles. ; PROV (Public Records Office Victoria), C/T 7401-097 - William Gustav Knapton Orchardist and Joan Crofton Kapton Married Woman both of Upper Beaconsfield - joint proprietors - C/T 8156-596.
were tenants in common - now only Frank. [S185] Property Titles. ; PROV (Public Records Office Victoria), C/T 6202-291 - Jean Margaret Woods of Bishopscourt Clarendon Street East Melbourne Married Woman. [S185] Property Titles. ; PROV (Public Records Office Victoria), C/T 8323-362 - Charles Michael Hunt Police Constable and Joan Elizabeth Hunt Married Woman both of Kings Road Emerald - joint proprietors. [S185] Property Titles. ; PROV (Public Records Office Victoria), C/T 8045-450 - Jean Margaret Woods of Bishopscourt Clarendon Street East Melbourne Married Woman - C/T 8706-040. [S35] Probate Records, PROV (Public Records Office Victoria), VPRS 28/P6, unit 192; VPRS 7591/P4, unit 304. [S11] Newspaper - Argus 2 Oct 1931, p11. [S11] Newspaper - Argus 23 April 1938 p4. [S11] Newspaper - Argus 13 Aug 1947, p9. [S11] Newspaper - Argus 1 Feb 1950, p10. Marriage* Spouse: John William (Jack) Rickard. VIC, Australia. 19 May 1941, BURROWS-KNAPTON. A blue angora frock with matching muff to which was fastened a bunch of violets with matching tulle hat trimmed with violets, was worn by Nancy Brita Knapton for her marriage to Neil Stirling Burrows at St. James Old Cathedral, West Melbourne. Rev. R J Rowell officiated. 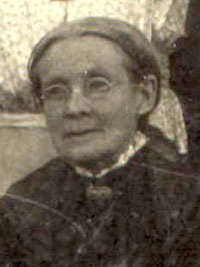 The bride who is the younger daughter of Mr and Mrs L W Knapton, Kooringal, Beaconsfield Upper, was given away by her father. She was unattended. [S4] Registry of Births Deaths and Marriages Great War Index Victoria 1914-1920 "#B8589 [reg Armadale]." [S11] Newspaper - Argus 27 Mar 1920, p11. [S11] Newspaper - Argus 14 May 1941 p6. [S4] Registry of Births Deaths and Marriages Great War Index Victoria 1914-1920 "#B20672 [par Andrew BURROWS & Laura Amy REMINGTON]." [S6] Registry of Births Deaths and Marriages Marriage Index Victoria 1921-1942 "#M6643." [S16] Newspaper - The Age 12 Jan 1984, p8. [S13] Newspaper - Herald Sun "death notice of W G L Knapton states that all his siblings are deceased." KNAPTON Nancy Brita Erin see RICKARD, Nancy Brita Erin. [S38] Index of burials in the cemetery of http://www.launceston.tas.gov.au/lcc/index.php,. [S11] Newspaper - Argus 22 March 1941, p9. [S11] Newspaper - Argus 19 May 1941, p6. Marriage* 8 Jan 1945 Spouse: Joan Crofton Burrowes. St George's Church, Malvern, VIC, Australia. [S61] Upper Beaconsfield History Archive ,"from Rob Hansen Questionnaire." [S4] Registry of Births Deaths and Marriages Great War Index Victoria 1914-1920 "#B13620." [S11] Newspaper - Argus 20 May 1916, p13. [S11] Newspaper - Argus 9 Jan 1945 p8. [S185] Property Titles. ; PROV (Public Records Office Victoria), C/T 7615-058 - William Leslie Knapton Horticulturist and Joan Crofton Knapton Married Woman both of Upper Beaconsfield - C/T 8050-034. [S185] Property Titles. ; PROV (Public Records Office Victoria), C/T 8233-013 - Helen Serena Sleight to William Leslie Knapton Orchardist and Joan Crofton Knapton Married Woman, both of Old Emerald Road Upper Beaconsfield - joint proprietors. [S185] Property Titles. ; PROV (Public Records Office Victoria), C/T 8045-449 - B713778 (16917/103) - C/T 8509-619 - William Gustav Knapton of Upper Beaconsfield Orchardist - C/T 8526-239 to 241. [S185] Property Titles. ; PROV (Public Records Office Victoria), C/T 8050-034 - William Leslie Knapton Horticulturist and Joan Crofton Knapton Married Woman both of Upper Beaconsfield -. [S185] Property Titles. ; PROV (Public Records Office Victoria), C/T 8562-283 - Jack Stephens of Emerald Road Upper Beaconsfield Butcher. [S185] Property Titles. ; PROV (Public Records Office Victoria), C/T 8612-853 - subdivision l/p 70022 - lots 5 to 18 in C/T 8626-317 to 8626-330. [S185] Property Titles. ; PROV (Public Records Office Victoria), C/T 8274-673 - Melbourne and Metropolitan Board of Works. [S185] Property Titles. ; PROV (Public Records Office Victoria), C/T 8074-027 -John William Guilfoyle Transport Driver and Ethel Annie Guilfoyle Married Woman both of Old Officer Road Upper Beaconsfield - joint proprietors. [S13] Newspaper - Herald Sun "14 Jan 2012 (viewed online)." [S11] Newspaper - Argus 7 Dec 1944 p8. Death-Notice* 11 Jun 1954 KNAPTON, John William. 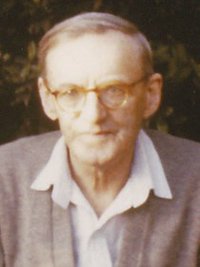 - On June 10, at his residence, 19 Cole street, Elwood, the dearly beloved husband of the late Eliza Knapton, and loving father of Leslie, Vera, William (deceased), Helen (Mrs. J. Syder), Ethel (deceased), and Alan, aged 90 years. 18 Jan 1896, DISSOLUTION of PARTNERSHIP-Notice is hereby given, that the PARTNERSHIP hitherto existing between William Thompson Pater and John William Knapton, trading as Pater and Knapton, printers and publisher. 290A Little Collins-street, has been TERMINATED as from 31st December, 1895. The said John William Knapton will carry on the said business and all debts due to and liabilities of the firm will be receivable and payable respectively by the said John William Knapton, trading under the style and title of J. W. Knapton and Co. signed this thirteenth day of January, 1896. 18 May 1906, BRITISH PRINTERS' PRIZE COMPETITION. MELBOURNE PRINTER SUCCESSFUL. [S1] Registry of Births Deaths and Marriages Pioneer Index Victoria 1836-1888 "#22943 (as unnamed Male NEPTUNE) [par William KNAPTON & Priscilla SOLLIS]." [S14] Newspaper - Standard (Port Melbourne), 26 Jan 1889, p2. are now proprietors as tenants in common. [S185] Property Titles. ; PROV (Public Records Office Victoria), C/T 3817-350 - Mortgage to James Harvey Metcalfe and John Hamilton Williamson Mortgage No 337378 - discharged 24 Jan 1921. [S185] Property Titles. ; PROV (Public Records Office Victoria), C/T 3817-350 - His Majesty King George V.
[S185] Property Titles. ; PROV (Public Records Office Victoria), C/T 1168-469 - John William Knapton is now the survivor of the proprietors [trustees]. [S5] Registry of Births Deaths and Marriages Death Index Victoria 1921-1985 "#D6282 age 90 [par William & unknown]." [S11] Newspaper - Argus 11 Jun 1954 p16. [S14] Newspaper - Table Talk, 6 Dec 1889, p5. [S11] Newspaper - Argus 18 Jan 1896, p12. [S16] Newspaper - The Age 3 Mar 1903, p8. [S12] Newspaper - South Bourke and Mornington Journal 4 Mar 1903, p2. [S14] Newspaper - Bendigo Advertiser, 18 May 1906, p8. [S1] Registry of Births Deaths and Marriages Pioneer Index Victoria 1836-1888 "#B24491 [par John George TRINHAM & Eliza PERRY]." [S185] Property Titles. ; PROV (Public Records Office Victoria), C/T 1480-942 + C/T 2089-707 - The Land Mortgage Bank of Victoria Limited to Eliza Knapton of Upper Beaconsfield married woman. [S185] Property Titles. ; PROV (Public Records Office Victoria), C/T 1480-942 + C/T 2089-707 - Eliza Knapton continued with the mortgage from The Land Mortgage Bank of Victoria Limited - discharged 10 Oct 1911. [S185] Property Titles. ; PROV (Public Records Office Victoria), C/T 1480-942 + C/T 2089-707 - Eliza Knapton took out a mortgage from Flora Clapperton - discharged 7 Jun 1919. [S185] Property Titles. ; PROV (Public Records Office Victoria), C/T 1480-942 + C/T 2089-707 - Eliza Knapton took out another mortgage from Flora Clapperton - discharged 2 Oct 1916. William John Knapton, aged 22 and working as an orchardist enlisted on 26 Feb 1915. He enlisted at the same time as two other soldiers from Upper Beaconsfield, John Berry and George Gibbs and they all embarked from Melbourne on board HMAT A14 Euripides on 10 May 1915 with the 23rd Battalion. 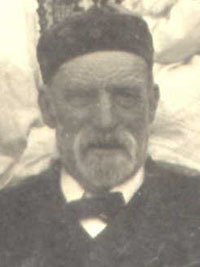 Colonel George Knox was also on board the same ship. SERN 579. 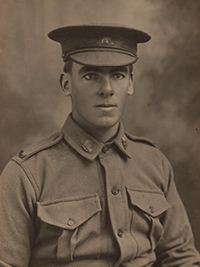 He served in Egypt, Gallipoli and the Western Front, and was a Corporal at the time of his death. He died of wounds on 11 Jan 1917, and is buried at Heilly Station Cemetery (Plot V, Row F, Grave No. 41), Mericourt-L'Abbe, France. [S2] Registry of Births Deaths and Marriages Federation Index Victoria 1889-1901 "#B2307." 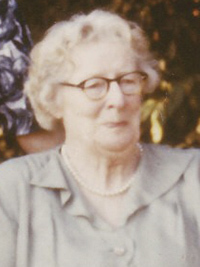 [S187] Familysearch ""Australia, Births and Baptisms, 1792-1981," index, FamilySearch (https://familysearch.org/pal:/MM9.1.1/XT6G-JQ8 : accessed 14 Oct 2014), William John Knapton, 12 Mar 1893; citing ; FHL microfilm 1238887." [S11] Newspaper - Argus 24 Jan 1917 p1. [S14] Newspaper - Kerang New Times, 30 Jan 1917, p3. [S14] Newspaper - Swan Hill Guardian and Lake Boga Advocate, 1 Feb 1917, p3. Marriage* 8 Jan 1945 Spouse: William Gustaf Leslie Knapton. St George's Church, Malvern, VIC, Australia. [S11] Newspaper - Argus The Argus (Melbourne, Vic. : 1848 - 1957), Tue 20 Apr 1920, p1. [S185] Property Titles. ; PROV (Public Records Office Victoria), C/T 6372-268 - Joan Crofton Knapton of Upper Beaconsfield Married Woman. [S185] Property Titles. ; PROV (Public Records Office Victoria), C/T 6372-268 - Robert Charles Mansey Searby Chiropractor and Constance Evelyn Searby Married Woman both of Upper Beaconsfield - joint proprietors. [S35] Probate Records, PROV (Public Records Office Victoria), VPRS 28/P26, unit 283. Remains Collected. Service 18 Jun 1996. [S11] Newspaper - Argus 22 Jun 1918, p11. [S11] Newspaper - Argus 22 Nov 1952, p4. [S11] Newspaper - Argus The Argus (Melbourne, Vic. : 1848 - 1957), Thu 11 Mar 1954, p12. 27 Nov 1895, NOTICE is hereby given that after the expiration of fourteen days from the publication hereof APPLICATION wilt be made to the Supreme Court of the Colony of Victoria, in its probate jurisdiction, that PROBATE of the last WILL aud Testament of MARGARET HASTLETT, late of Station-street, Port Melbourne, in the colony of Victoria, the wife of Samuel Hastlett, of the same place, Laborer, deceased, may be GRANTED to John George Trinham, formerly of Stoke street, Port Melbourne, in the said colony, railway clerk but now of Beaconsfield, in the said colony, gentleman, the executor named in and appointed by the said will. 30 Jun 1906, Beaconsfield, Tuesday.—Only in a few orchards has the apple crop been good, and even there it has not been general, but confined to a few varieties. Taken as a whole, the crop is short. Mr. T. P. Trinham, Fairfield Orchard, had an excellent crop. In Messrs. T. H. Grant and Co.'s orchard (Toomuc Valley), the total output this year was about 20,000 cases. The "Yates" crop was exceptionally fine, approximating 6,000 cases, worth about £3,000. Some other varieties also yielded well, and as prices are high the present year, in spite of the great general shortage, promises to be the most profitable which the " Valley" growers have had. Mr. Trinham has decided to give up growing stone fruits, except for home consumption. He says that the apple-growing industry will prove most valuable when thoroughly established, and confined to a limited number of varieties in general favour. Experience shows that whilst almost any apple will grow in the Beaconsfield ranges, only a few kinds are likely to pay, and the beginner who wishes to live by his orchard must plant such sorts as can be produced in quantity and quality. This applies to other localities as well as Beaconsfield. The demand for good export apples is good, and the prices obtainable from the buyers in Melbourne are sufficient to encourage anyone to plant apples. The chief reason why so many shipments turn out badly is that the buyers, anxious to catch the early markets, ship unripe fruit. 1 May 1913, The Beaconsfield District. Early Days and Present Doings. "Apples and health" are the two things that the Beaconsfield of today claims to specialise in. But it was for neither of these that the firstcomers invaded the solitude of the hills: What is now known as Upper Beaconsfield, was at one time a sheep run, but neither the shepherds nor their flocks, nor the occasional hunters after kangaroo, left any lasting impression or disturbed in any way the condition of the primeval forest. The first "improvements" were made by parties of diggers, who in 1870 uprooted some of the peaceful gullies in search of gold. The finds were not sufficiently rich to compete with the attractions of Bendigo, which started a couple of years later, and the miners moved on. It is still believed by many, however, that payable gold exists in the district in considerable quantities. Indirectly the mining led to more permanent settlement, for it was an amendment of the mining clauses of the 1869 Land Act, enabling persons to select 20 acres of land without being obliged to comply with the residence clause, that induced a number of city men in 1878 79 to take up blocks and carry out the necessary improvements. It was at this time that the first cottages were built, and gardens and orchards planted on the hillsides. The belts and clumps of dark pine trees attached to these earlier residences now stand out conspicuously against the prevailing colour of the surrounding gum trees, and show the visitor that he is not approaching an altogether new settlement. A nearer inspection discloses the fruit trees, still healthy and productive, and the gardens, luxuriant with all the plants, shrubs and bushes of a temperate climate. The peculiar health-giving character of the air was soon discovered, and in itself was sufficient to ensure the permanence of the settlement. Several doctors built themselves houses, to which they came to recuperate, and many invalids who came as visitors remained as residents. The salubrity of the climate is thought to be due, first to the altitude (from 800 to 1000 feet), which is sufficient to make it light and bracing, without being so high as to be severe; and, secondly, to the fact that the sea breezes reach the ranges after passing over 14 to 20 miles of forest country, the exhalations of the eucalyptus increasing the virtues of the ozone from the ocean. [S35] Probate Records, PROV (Public Records Office Victoria), 131/775 Probate of John George TRINHAM. [S36] Inward & outward passenger lists to and from Victoria. Series: VPRS 14; 7666; 7667; 7786); PROV (Public Records Office Victoria), Unassisted Inward Passengers index. [S36] Inward & outward passenger lists to and from Victoria. Series: VPRS 14; 7666; 7667; 7786); PROV (Public Records Office Victoria), Outward Passengers index. [S1] Registry of Births Deaths and Marriages Pioneer Index Victoria 1836-1888 "born Norfolk." Cause of death from above website ... no longer active. [S1] Registry of Births Deaths and Marriages Pioneer Index Victoria 1836-1888 "#M885." gives date as 25 Jul 1865. [S185] Property Titles. ; PROV (Public Records Office Victoria), C/T 2534-683 - John George Trinham of No 128 Stokes Street Port Melbourne Farmer. [S185] Property Titles. ; PROV (Public Records Office Victoria), C/T 2534-683 - Land Mortgage Bank of Victoria Limited Mortgage No 242476. [S185] Property Titles. ; PROV (Public Records Office Victoria), C/T 2621-090 - Land Mortgage Bank of Victoria Limited Mortgage No 242476. [S185] Property Titles. ; PROV (Public Records Office Victoria), C/T 3404-733 - John George Trinham of Upper Beaconsfield Orchardist. [S11] Newspaper - Argus 23 Sep 1913 p1. VPRS 7591/P2 unit 501, item 131/775. [S185] Property Titles. ; PROV (Public Records Office Victoria), C/T 2534-683 + C/T 2621-090 + C/T 3404-733 - John George Trinham died the 21st day of September 1913. On the 8th day of December 1913 probate of the will of the said John George Trinham was granted to John George Trinham of Golding Street Canterbury Builder and John William Knapton of Latrobe Street Melbourne Printer. [S11] Newspaper - Argus 8 Dec 1893 p4. [S16] Newspaper - The Age The Age (Melbourne, Vic. : 1854 - 1954), Wed 27 Nov 1895, p8. [S16] Newspaper - The Age The Age (Melbourne, Vic. : 1854 - 1954), Mon 11 Jul 1898, p10. [S11] Newspaper - Argus 17 Jan 1903, p11. [S14] Newspaper - The Bacchus Marsh Express (Vic. : 1866 - 1918), Sat 30 Jun 1906, p4. [S12] Newspaper - South Bourke and Mornington Journal 1 May 1913, p5. [S11] Newspaper - Argus 13 Dec 1913, p9. 16 Dec 1913, NOTICE is hereby given, that after the expiration of fourteen days from the publication hereof applicition will be made to the Supreme Court of the State of Victoria, in its Probate jurisdiction, that LETTERS OF ADMINISTRATION of the estate of ELIZA TRINHAM, late of "Fairview," Upper Beaconsfield, in the said State widow, deceased, may be granted to John George Trinham, of Golding street, Canterbury, in the said State, builder, the eldest son of the said deceased. 26 Mar 1914, PURSUANT to the Trusts Act 1800, notice is hereby given that all persons having claims against the estate of ELIZA TRINHAM, late of "Fairview," Upper Beaconsfield, in the State of Victoria, widow, deceased, intestate, who died on the 11th day of December, 1913, are hereby required to SEND PARTICULARS in writing of such CLAIMS to John George Trinham, Esq., the administrator, care of The Equity Trustees Executors, and Agency Company Limited, of 85 Queen street Melbourne, in the said State, on or before the 29th day of April, 1914. Dated this 25th day of March, 1914. [S50] Miscellaneous Source, http://pandora.nla.gov.au/pan/10421/20041220-0000/… last updated 14 Nov 1998. [S80] Ancestry - Family Tree, eirenic (Eirene TRINHAM). [S3] Registry of Births Deaths and Marriages Edwardian Index Victoria 1902-1913 "#D12282 age 73 [par John PERRy & Mary HAMBRIDGE] - mother's name possibly HANDRIDGE." [S11] Newspaper - Argus 15 Dec 1913 p1. VPRS 7591/P2 unit 504, item 132/767. [S11] Newspaper - Argus 16 Dec 1913 p8. [S11] Newspaper - Argus 26 Mar 1914 p4. 23 Jun 1906, BEACONSFIELD ORCHARDS. THE APPLE CROP. BEACONSFIELD. Tuesday. - Only in a few orchards has the apple crop been good, and even there it has not been general, but confined to a few varieties. Taken as a whole, the crop is short. Mr T. P. Trinham, Fairfield Orchard, had an excellent crop. In Messrs. T. H. Grant and Co's orchard (Toomuc Valley), the total output this year was about 20,000 cases. The "Yates" crop was exceptionally fine, approximating 6,000 cases, worth about £3,000. Some other varieties also yielded well, and as prices are high the present year, in spite of the great general shortage, promises to be the most profitable which the "Valley" growers have had. Mr Trinham has decided to give up growing stone fruits, except for home concumption. He says that the apple-growing industry will prove most valuable when thoroughly established and confined to a limited number of varieties in general favour. Experience shows that whilst almost any apple will grow in the Beaconsfield ranges, only a few kinds are likely to pay, and the beginner who wishes to live by his orchard must plant such sorts as can be produced in quantity and quality. This applies to other localities as well as Beaconsfield. 22 Feb 1918, Rev T. P. Trinham Enlists. BUT IS REJECTED. the course of the Referendum sign the Rev. Thomas P Trin[ham] pastor of the Baptist Church, [West] Melbourne, preached a series of [sermons] was, intitled " National Perils." declared that, although he was a [married] man, 44 years of age, with six children and a Minister of religion, if people recorded a No majority he should offer his services to the [military] authorities to go to the Front [? ]y capacity. [On] Monday Mr Trinham kept his [promise] and volunteered at the Town [?] Recruiting Depot for active ser[vice] but was rejected by the medical [officer]. [S1] Registry of Births Deaths and Marriages Pioneer Index Victoria 1836-1888 "#B27011." [S2] Registry of Births Deaths and Marriages Federation Index Victoria 1889-1901 "#M7688." [S5] Registry of Births Deaths and Marriages Death Index Victoria 1921-1985 "#D112 age 57." [S5] Registry of Births Deaths and Marriages Death Index Victoria 1921-1985 "#D1316 age 58." [S35] Probate Records, PROV (Public Records Office Victoria), VPRS 28/P4, unit 1607; VPRS 7591/P3, unit 214. [S11] Newspaper - Argus 23 Jun 1906, p6. [S14] Newspaper - The Broadford Courier and Reedy Creek Times, 31 Mar 1911, p 2. [S14] Newspaper - Kerang New Times (Vic. : 1901 - 1918), Fri 22 Feb 1918, p3. [S11] Newspaper - Argus 14 Nov 1924 p17.